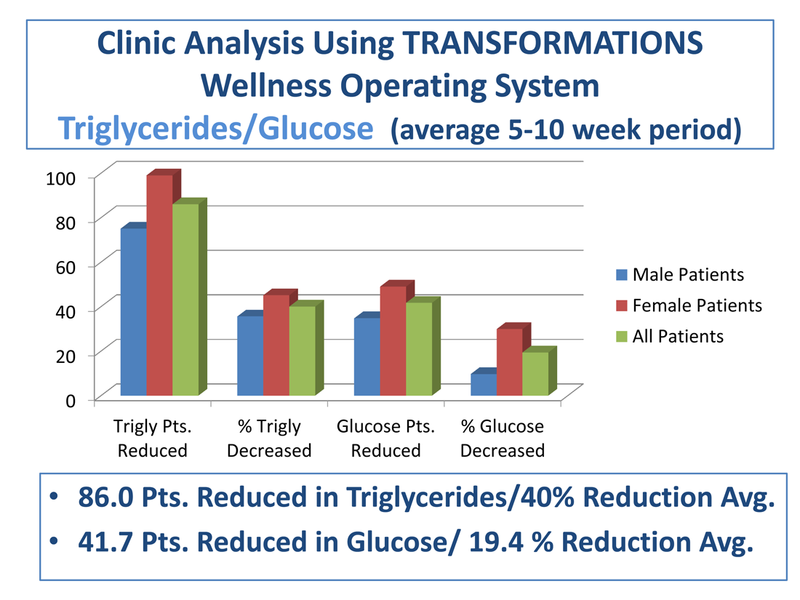 Clinic Analysis Using TRANSFORMATIONS Wellness Operating System Triglycerides/Glucose (average 5-10 week period)86.0 Pts. Reduced in Triglycerides/40% Reduction Avg.41.7 Pts. Reduced in Glucose/ 19.4 % Reduction Avg.